Since we're a social club, this is our way of getting out and supporting local Richmond businesses and giving back to the great city we live in. We usually have several meetups each month, so if you can't make one, hopefully you can make one of the other events. 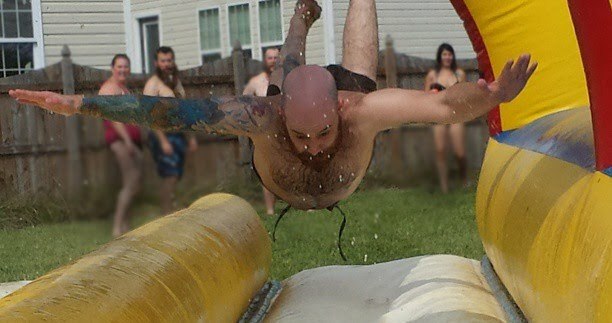 We manage most of our events on Facebook under RVABeardLeague/events. RVA Beard League Pub Night happens every second Monday of each month at Station 2. Things get started around 6:00 and usually go until 9:00, but join us whenever you can. It's a good reason to get out of the house to meet and drink with your bearded brothers & facial hair-loving sisters. Each month, we have a community service activity scheduled. In the past we've done roadside cleanup on either of our roads in Richmond and Henrico we've adopted, participating in a Cash Mob, working with Habitat for Humanity, Special Olympics, Bowling Buddies with the Autism Society of Central Virginia, taking part in a blood drive, helping out at a local festival, reading to local elementary school students, or any number of things to help Richmond be a better place. Check out our Volunteering page for more information. It sounds blah and boring, but it our monthly business meeting helps this large group stay on point and focused on current and future projects. They are open to anyone who is interested in attending. We also get together headcounts and game plan for upcoming regional and national competitions. For Growvember 2013, we had our first collaboration with Hardywood Park Craft Brewery: the Extra Special Burly Bearded Bitter. A portion of the proceeds went to Pints for Prostates & the VCU Massey Cancer Center. We also usually plan a fun group activity, whether heading to Beard Night with the Flying Squirrels at The Diamond, watching the latest episode of Whisker Wars at Mekong, an evening of fun on trampolines at Jumpology!, an improv show with the Richmond Comedy Coalition, glow-in-the-dark mini-golf, or swimming at Hadad's Lake. It's a great way to meet new folks around town. Each year, we support No Shave November (for beards) and Movember (for moustaches) efforts. In 2011, we coordinated No Shave November discounts at fuzzy-friendly local restaurants. 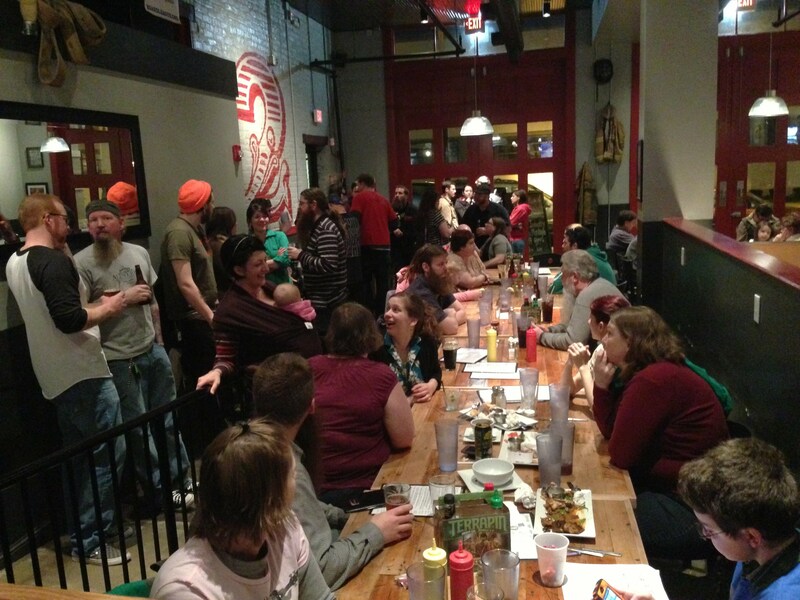 Then in 2012, we held our own month-long grow off at a restaurant in Jackson Ward, with awards and specials for participants. For 2013, we kicked off Growvember, our facial hair appreciation month, supporting efforts at a local school, the VCU Massey Cancer Center and Hardywood Park Craft Brewery. We hold an annual charity facial hair competition here in Richmond the last Saturday of April, Mid-Atlantic Beard & ‘Stache Championships. We've raised $30,000 for local Richmond charities over the years, including the Central Virginia Food Bank, Big Brothers Big Sisters of Greater Richmond and Tri-Cities, Safe Harbor a shelter for survivors of domestic and sexual abuse, and the Mid-Atlantic Chapter of Paralyzed Veterans of America. The 2016 Championships will benefit the Richmond Fisher House.